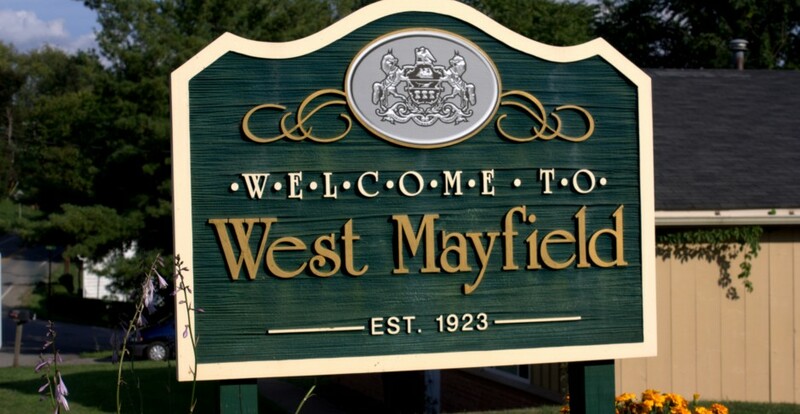 A reminder to West Mayfield residents: All solicitors in the borough must have a permit issued and signed by the mayor. 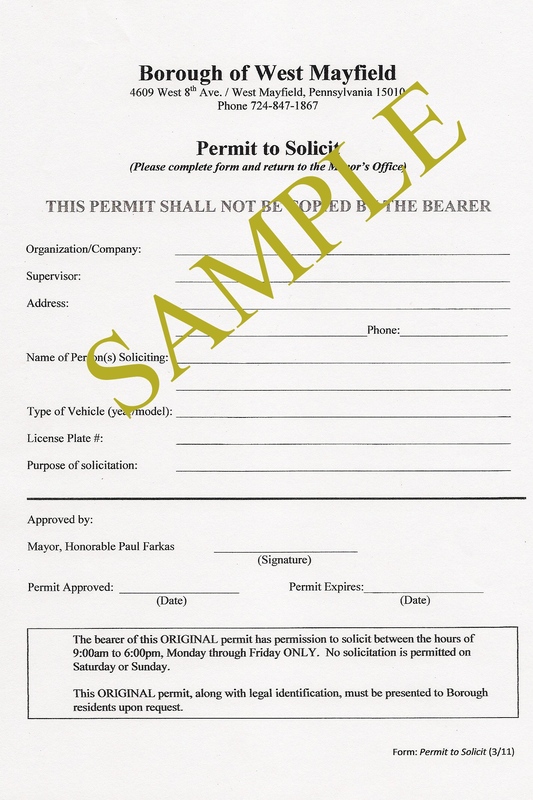 This permit must be presented to residents upon request. 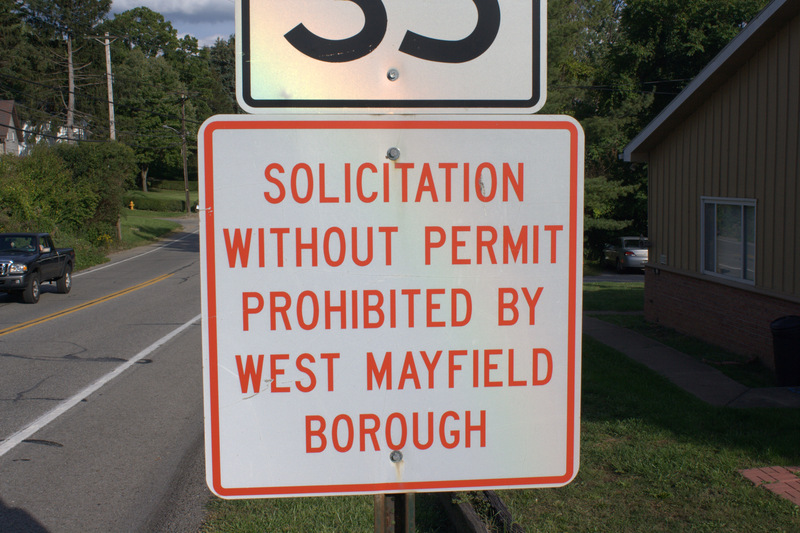 Anyone soliciting in the borough without a proper permit is in violation of the law and should be reported to the police by calling 911.